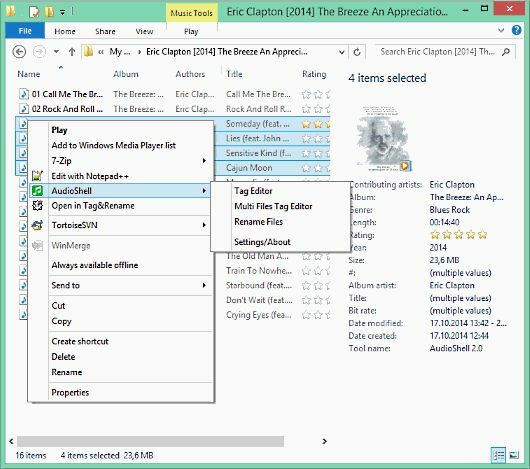 AudioShell is a freeware MS Windows Explorer shell extension plugin which allows you to view and edit music files id3 tag directly in Windows Explorer. 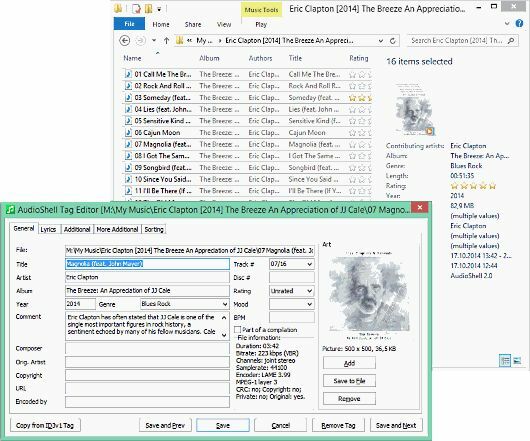 AudioShell supports MP3 (all ID3v2 tag versions), WMA, ASF, WMV, Apple iTunes AAC (M4A and M4P), MP4, OGG, FLAC (vorbis comment tags), MPC, MP+, monkey's audio, WAV pack, optim frog (APE and APEv2 tags) and DSF. 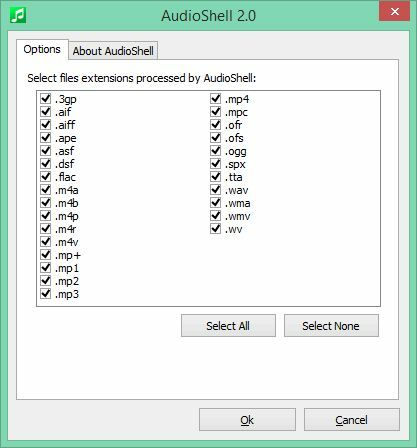 AudioShell features include full Unicode, Windows Vista/7/8 and 32/64 bit support.